SINGAPORE - (THE NEW PAPER) I am really worried for Joie. It serves vegetarian food, is at the top of a mall where there is not much pedestrian traffic, and looks incredibly pricey - all factors that could make the average diner may lose interest. And that would be such a pity. Because Joie (pronounced "joy") is an earnest restaurant wanting to marry healthy eating with modern cuisine. The food is affordable (the set menu is worth the price) and you are treated like a king. The service is memorable too. During my first visit, which was unhosted, my waiter asked if I wanted to feel full before recommending accordingly. When the food arrived, it was another "wow" moment because of the plating. For me, it bordered on excessive. Why would you need such huge bowls and heavy plates? Luckily, the food is not as gimmicky. It felt like I was being wooed. Each course was served up like a jewel being presented to royalty. It was a bit guilt-inducing, too, to be so treated like a millionaire. Joie does not need this sort of pomp. The food speaks for itself. 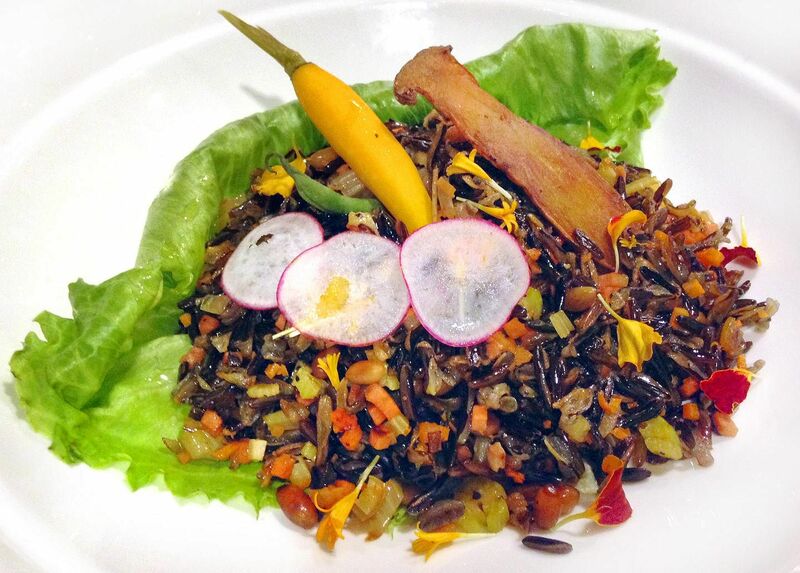 My favourite dish is the wild rice ($36). The presentation is almost rustic when compared to the fussiness of the other plates. But it is gorgeous. The colours are inviting, the dish smells incredible and the portion is hearty. A good dish for those with big appetites. To some, vegetarian food means mock anything. 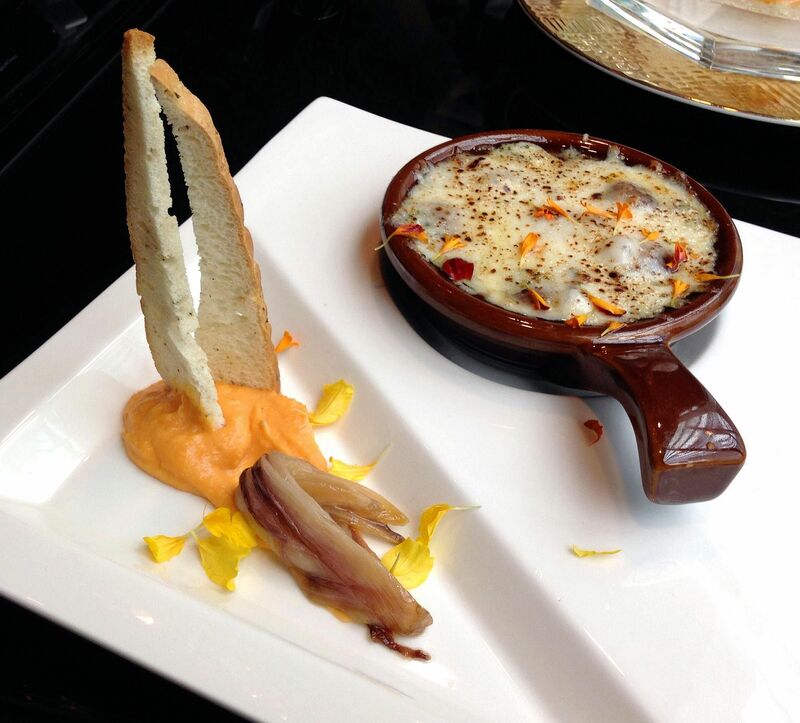 The mushroom gratin ($12.80) is Joie's version of escargot. Created with button mushrooms, the dish may actually be tastier than snails. 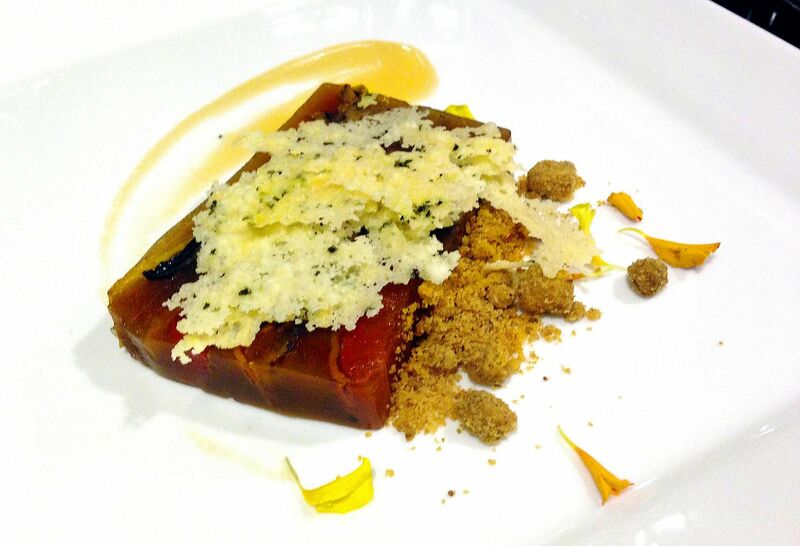 My first encounter with a vegetable terrine was a good experience. The Spring Vegetable Terrine ($26), which has aubergine, carrots and mushrooms, is delicious and more robust than I thought a pot of vegetables could be. 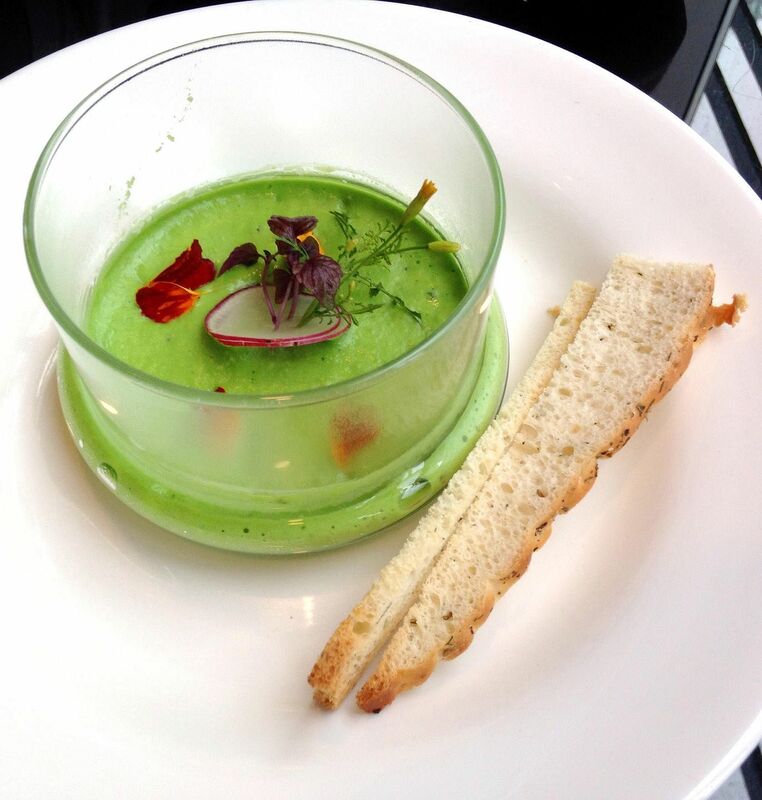 The intense green of the Espuma Of Green Pea Cappuccino (part of the set menu) is a visual feast. One sip and you know it is peas. The flowers bring a pleasant hint of bitterness, which gives some dimension to this soup. 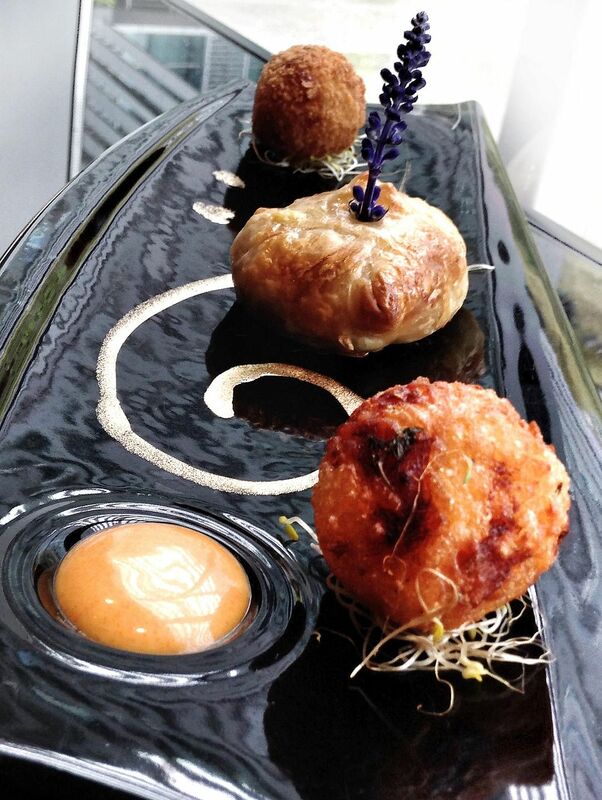 One of the few misses, the Trio of Spheres ($36) offers three one-bite options on a plate. My favourite was the butternut pumpkin risotto ball. Skip the curry mayonnaise though; it did nothing for the taste. The wild mushroom had a sharp, vinegary taste. And until I looked at the menu, I had actually forgotten that the third item was mozzarella arancini. This article was first published on November 12, 2014.